Firstly I'd like explain why I've disabled the comments on the blog. I don't like the unilateral nature of blog comments. You comment, you may even ask a question but then you have to go back to it if you want to see the follow up response. Let's be honest, it's a ball ache! So I took the decision to disable that feature. All my posts are flagged up on social media anyway, the buttons to find me are at the top right and I find that possibility of real interaction much more enjoyable. Right, onto the knitting. I still haven't finished my owls completely. I think I will rename it An Exercise in Procrastination. I haven't even got the buttons yet. I haven't enjoyed knitting this one as much as I should but I won't go into that until the FO post. However, I learned two new amazing techniques while working on this jumper. Well, technically I learned one. The other I learned while improving my crochet. Tip #1: Russian Join: this is probably going to change my knitting life forever. It's on a par with magic loop knitting and cabling without a cable needle. 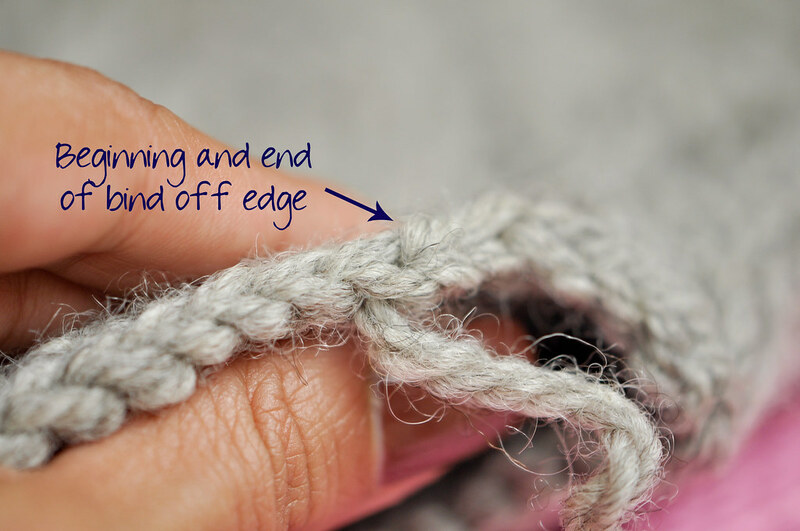 It consists of interlocking the ends of your yarn in loops when you need to add a new ball. Which, in turn, means no ends to weave in - except for your start and end tails. And maybe underarm grafting. The picture above (click to enlarge) shows the outside of the work. I left the tail sticking out as a reference point because to the right of it you can see how slightly fatter the stitches are. I could fix that by halving the number of plies I loop. On the other hand, life is too short and when the garment is worn you can't tell. How many of us have vision with macro lens capability? Russian Join on the inside of the work. 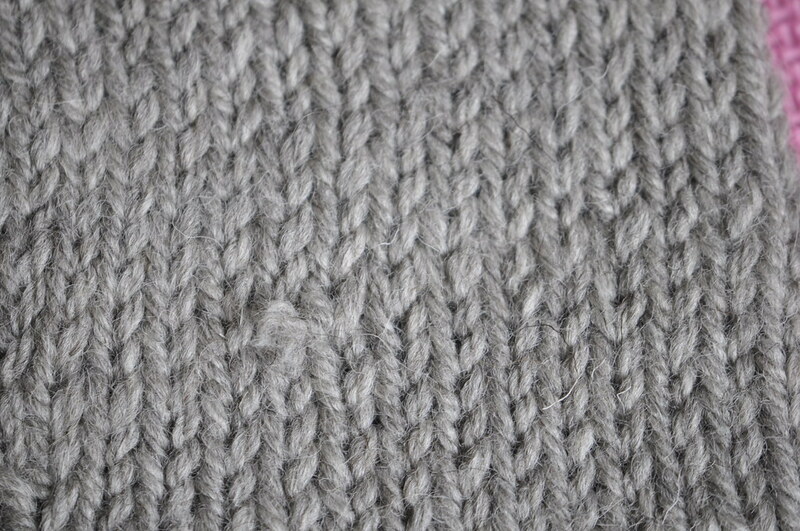 As you can see (click to enlarge again), it's slightly more visible on the purl side. But it's still an amazing trick to know and I will not be looking back. 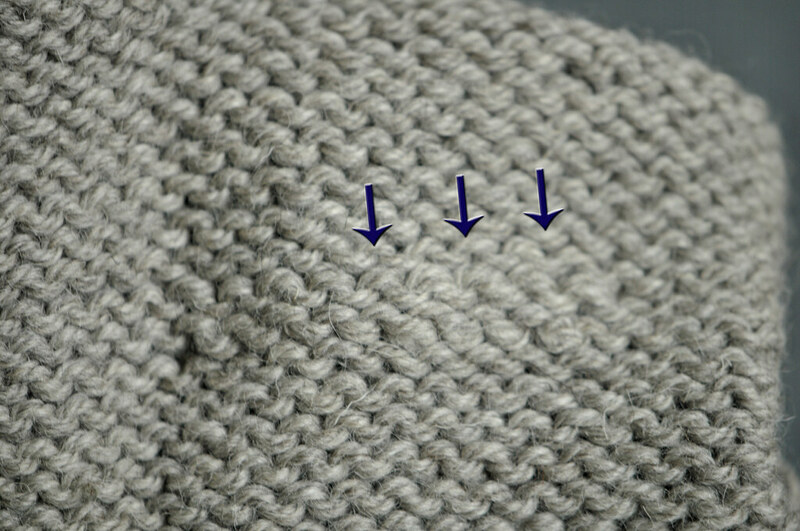 Tip #2: Invisible Crochet Bind Off: my favourite way to cast off is ssk, k2tog tbl, *slip the next st kwise, k those 2 sts tbl, rep from * until the end. This gives it a lovely, neat and tidy chain edge, just like you get in crochet. But I've never been able to fasten off the last stitch and make it look nice. You can always tell where the start/finish is. [enter the invisible crochet bind off]. You can see in the picture above how well it works. You can only tell where it ends because of the tail I left hanging around. The tops of the stitches look exactly the same all the way around and there is no weirdness going on at any point. Although I've had a bit of a love-hate relationship with this project I am so very glad that I did it - obviously! I have a new thick, cosy jumper for Christmas in Philly and I learned two great tips while I was working on it. It's a big plus in my (knitting) book!